Flights to India are well connected with all the continents of the world by air with more than 400 international airlines fly to India daily. Air India flies to many destinations in Asia, Africa, Europe and North America. 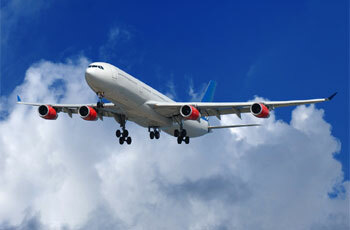 The main international airports are located at Mumbai, Delhi, Kolkata and Chennai. Other major airports receiving international flights include Bangalore, Thiruvananthapuram, Kochi, Hyderabad, etc. India is also well connected by the major domestic airlines fly extensively throughout the nation and into neighboring countries. You can book your flight to India, and for domestic, I can provide tickets with distinctive and comparative information between all the airlines according to your budget, date and time. Please feel free to contact me by just filling up the query form and, I will provide all information within no time. In both Mumbai and New Delhi the domestic and the international airports are located at opposite ends of the same runway system. Since 1992 there has been a revolution in domestic air travel. No longer is Indian airlines the sole operator on major routes. Numerous private airlines operate on major trunk routes. New airlines have established niches for themselves.